Paying it forward is a good analogy of creating a brand with soul. In the 2000 movie, “Pay it Forward,” a young boy takes on the task of changing the world by starting a chain of selfless good deeds; helping three people under the condition that they each help three people, and so on, until his goal is achieved. The kid had a great soul and this altruistic cause is how he shaped the world. The soul of a brand is a concept that’s hard to describe and even harder to develop. “Pay it Forward” is a good analogy for soul-building, because it’s less about image than passion and commitment. Brand soul can often carry a business through rough times, in both morale and sales. It boosts employee retention, strengthens customer loyalty, and supports higher pricing. This kind of depth is most often shaped by the consistent behaviors and actions of people who have a stake in the organizational brand. Leadership is its custodian and vision its lifeline. Unlike a typical pontification of goals of sales and market share, true brand vision is instead a perspective of what a better world could look like and the organization’s role in meeting that future. It’s about core ideology that creates an envisioned future. In short, it’s a cause. The money part follows. Commercial businesses by definition exist to make a profit. But brands with a soul earn these profits as a byproduct of their cause. The better they are at supporting and promoting their cause, the more profit they earn. Of course, this is an over simplification, but the point is a company without a social cause is a brand without a soul. It’s a lot easier to get people to line up behind a brand with a cause than to constantly fuel attraction, engagement, and retention with an endless stream of advertisements, promotions, or discounts. So, how do you give your brand a soul? How do you identify an appropriate and relevant cause? 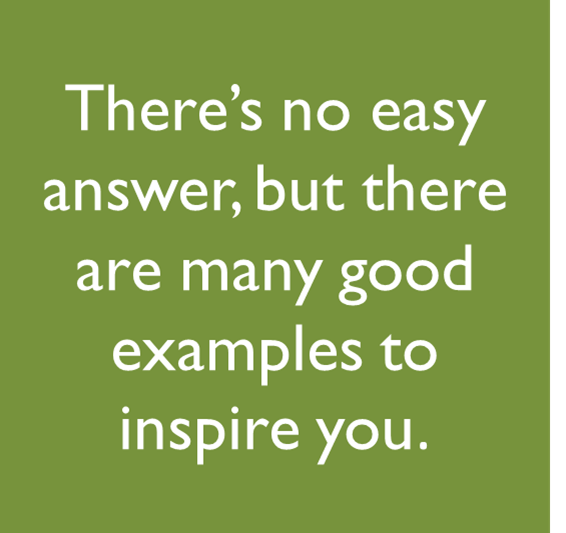 There’s no easy answer, but there are many good examples to inspire you. One such example is the story of Carlos Rodriguez-Pastor, a Peruvian businessman who wanted to be more than a banker. In his newly renamed Interbank he saw an opportunity to create middle-class jobs and design his bank to cater to middle-class needs. With this vision guiding him, the ambition became to initiate transformation in Peru’s economy by building up an all-but-non-existent middle class. For ideas, Rodriguez-Pastor decided to study the leading financial marketplace in the United States. Realizing he could not succeed in this major transformation by himself, he convinced a prominent US bank analyst to allow him and a cadre of his colleagues to join an investor tour of US banks. From this tour, he and his managers learned the ropes of the big leagues. But Rodriguez-Pastor didn’t stop there. He took on the herculean task of changing the entire education system of Peru to grow and perpetuate a robust middle class. He assembled a task force to modernize classrooms, teaching methods, and technologies. In the process, Rodriguez-Pastor grew Interbank’s loyal customer base; not by increasing share of market, but by growing the size of market segment. This is what a true cause looks like. It’s the soul of a brand. Some may see this as stepping outside the “core business,” a source of angst, distraction, or intimidation for many leaders. But Rodriguez-Pastor envisioned it as social responsibility, “paying it forward” to grow his business. He reframed his perspective of “core business” from building a bank, to building an entire economy, which in turn improved the quality of life for millions…and grew his business as a byproduct. No doubt the financial equation has to make sense, but in the long run this kind of strategy–no matter how modest–can build a brand that is highly durable and profitable. Read the official story of Carlos Rodriguez-Pastor in Harvard Business Review article, “Design Thinking Comes of Age.” Reprints are available in the HBR Library. For more perspective on bridging strategy and execution, including practical tools and processes for brand operationalization, get a copy of Getting There From Here: Bridging Strategy and Execution, by Greg French, founder of GroPartners Consulting. E-book at iBooks or hard copy from Amazon.com.